Join Captain America, Thor, Iron Man, Black Widow, and the Guardians of the Galaxy on a stunning journey through the Marvel Cinematic Universe! 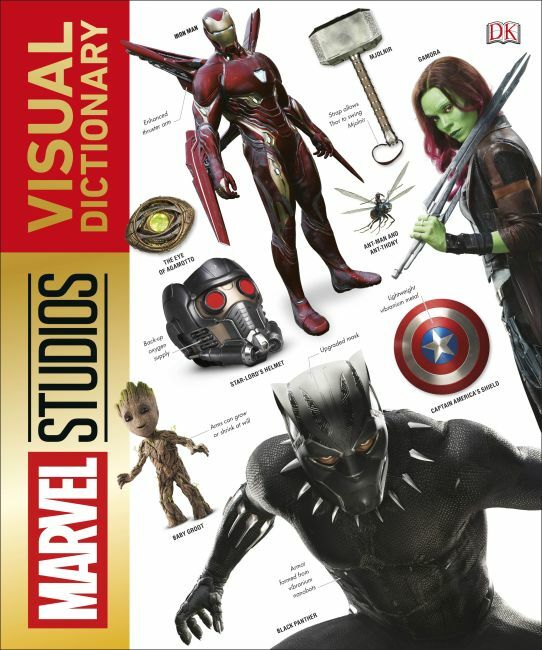 DK is bringing its expertise in creating beautiful illustrated non-fiction to this modern pop culture phenomenon; Marvel Studios: Visual Dictionary shows the world of the Avengers as it has never been seen before. Iron Man's armor, S.H.I.E.L.D. 's helicarriers, the soaring towers of Asgard, Hawkeye's bow, Thor's hammer, mighty Thanos and the Infinity Stones, Star-Lord's quad blasters - each subject is shown using beautiful movie stills and stunning prop photography, accompanied by engaging text explaining their key features and role in the Marvel saga. A unique and captivating showcase of the first ten years of Marvel Studios, this is the book that every Marvel movie fan has been waiting for!